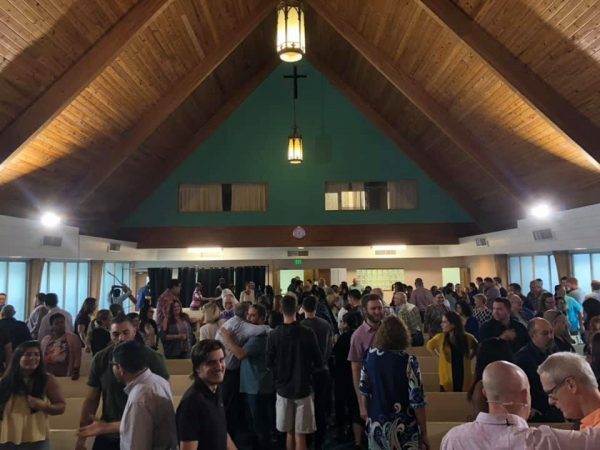 Grace Church Miami launched on Sunday evening with 182 people filling up the pews at their Miami Shores location. “There were groups from Grace’s partner churches but there were also people from the community,” said Peoples. He spoke with one lady who found out about the launch while walking her dog. “She went back home, changed and came to the service.” Another lady, he said, found out about the launch during an open house. “There’s a lot of excitement in the community about the church opening.” A group of about 20 of Bancroft’s cross-fit friends also came to the launch service. 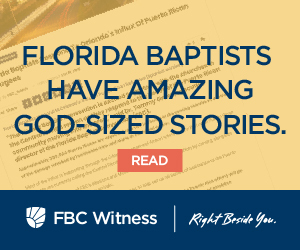 “They are not churched and he invited them to the service and they came,” said Jose Abella, pastor of Providence Road. The number of people who came to the launch was unexpected. So much so that some had to park off the property and more sitting room had to be made available within the sanctuary. Providence Road is committed to serving at Grace Church on a rotation basis to help as the plant takes off. “We want to plant a church not a planter, when you plant a planter you just put all the onus on the planter but when you plant a church the whole sending church is involved,” said Abella. To find out more about Grace Church Miami visit gracechurch.miami.